Providing you the best range of solid core rotating isolator 33kv, epoxy insulators and polymer insulator with effective & timely delivery. 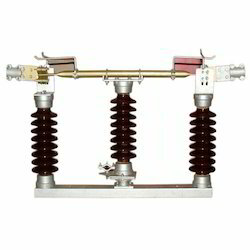 We are offering a wide range of Solid Core Rotating Isolator 33KV. We manufacture this isolator by making use of high-grade raw materials and high-end technology so as to maintain the set industry standards. To make a flawless dispatch from our end, our offered isolator is rigorously inspected by our quality inspectors against various parameters. This rotating isolator is broadly acknowledged by our clients for their easy installation and sturdiness. We are offering a wide range of Epoxy Insulators. The offered insulator is manufactured using high grade raw materials and contemporary technology. We assure our clients that our insulator is quality tested on predefined parameters, in order to meet international standards. 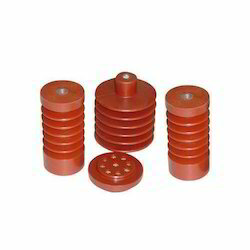 Apart from this our prestigious clients can avail this insulator, as per their needs, at highly competitive price. We put forward a broad range of Polymer Insulator that is manufactured in adherence with the set industry standards using advanced technology and optimum quality raw materials. 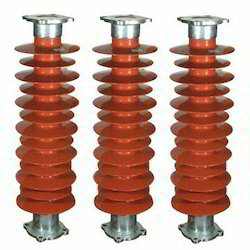 In tune with international quality standard, we provide this insulator in various sizes and specifications, as per the requirement of our clients. Our quality controllers perform a series of test on various parameters, in order to ensure the quality of this insulator. Apart from this, clients can avail this insulator from us at industrial leading rates.